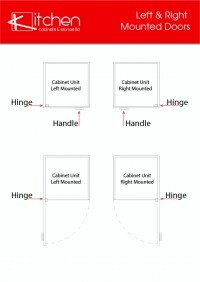 Corner cabinets: Check the cabinet's door will not hit other cabinets, handles or appliances when opened. This is especially important when the corner cabinets are placed beside drawers, or when the corner cabinet has drawers in it. Cabinet sides and door extend to the floor, no toe kicks or feet required. Kitchen floor will be seen inside this walk in pantry. 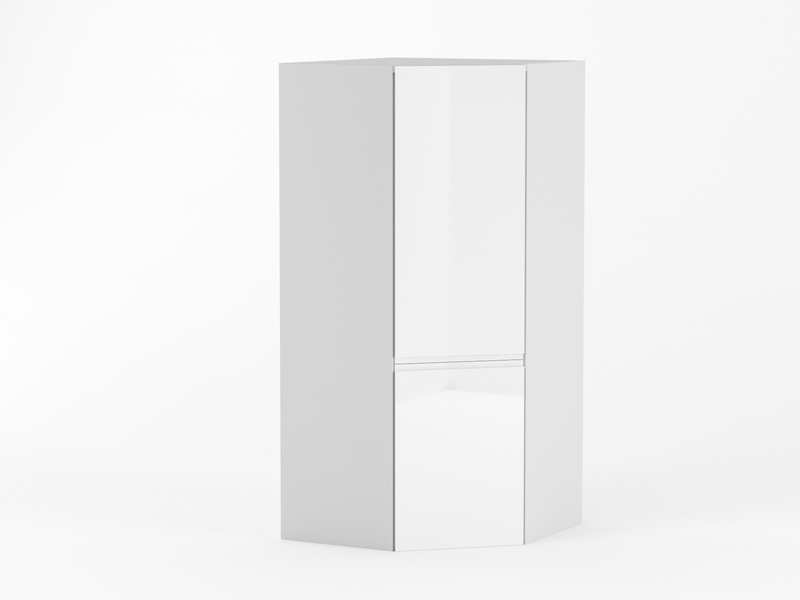 The cabinets are made from 16mm HMR moisture resistant board with a solid 16mm thick back. Comes flat packed with adjustable feet. Does not include Toe-kick, Handle. 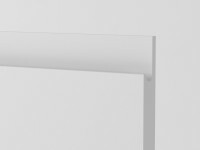 J-pull Lacquered White Doors are made in Italy from the highest quality materials. 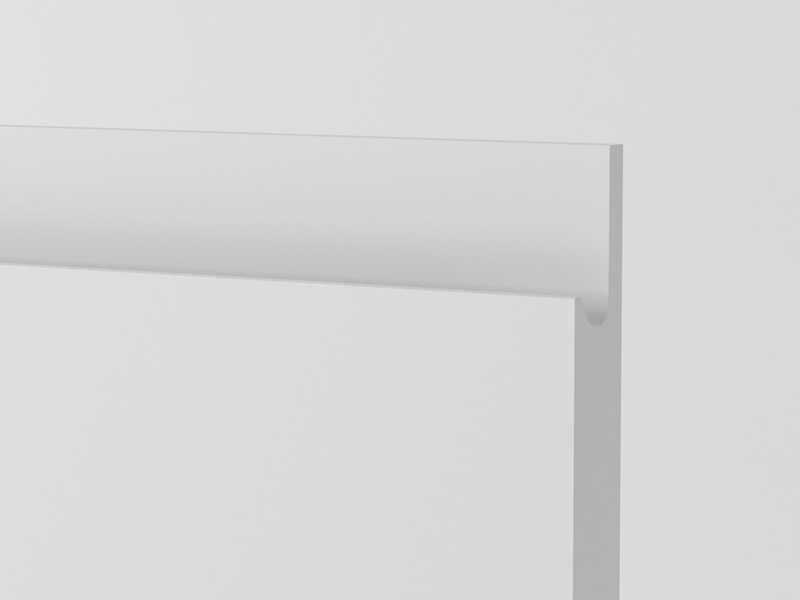 They are 22mm thick MDF with white melamine on the back. On the front and edges of the door there is a double coating. First a coat of polyester was applied. This was then covered by a coat of PU lacquer in white. At 22mm thick these doors are made to be sturdy and durable. Helping you create a kitchen that looks great and will last the distance. With a lacquered white finish on the front, these doors have been designed to be the epitome of class and elegance. Making your kitchen space look modern and reflecting the high quality workmanship that has been put into your entire kitchen. 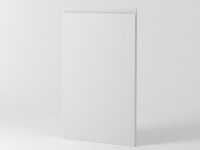 J Pull Lacquered White Gloss MDF door/s. When installing this pantry beside a tall item e.g. 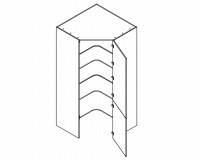 a pantry or oven tower, you will need a filler panel in between to ensure there is clearance for the door to open. If you are installing it next to anything that is under the bench, a tall end panel will be needed which you may have to trim at the back to fit the door on the pantry. It is recommended to install the door on the pantry first to be able to see where the panels will need to sit. If unsure, please ask Kitchen Cabinets staff for help. J Pull Lacquered Tasman Grey Matte MDF door/s. 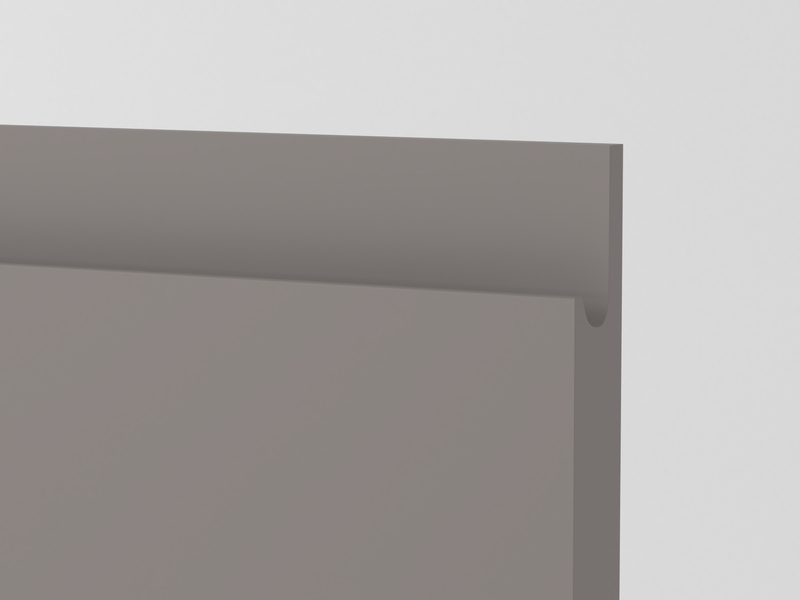 Door 2 is 860mm high, 626mm wide and 22mm deep. J-pull Doors are made in Italy from the highest quality materials. 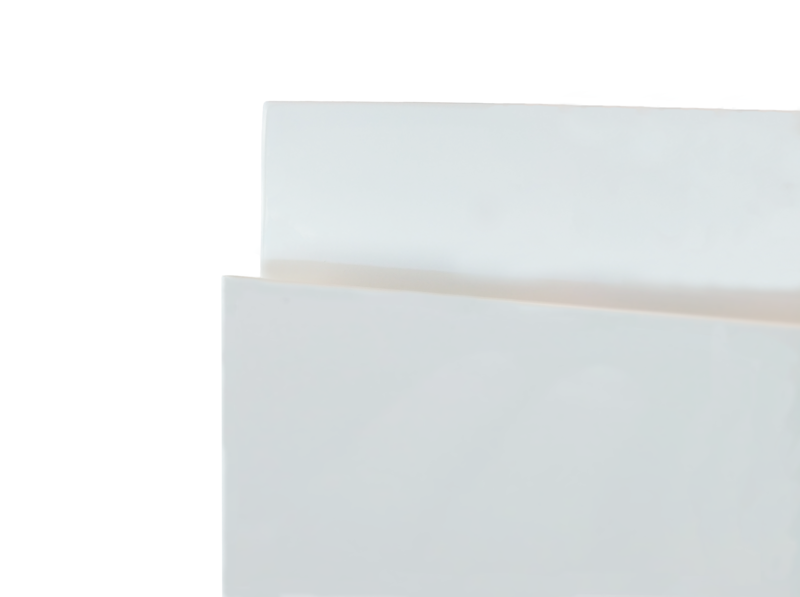 They are 22mm thick MDF with white melamine on the back. 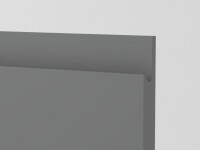 On the front and edges of the door there is a double coating. First a coat of polyester was applied. This was then covered by a coat of PU lacquer in white. At 22mm thick these doors are made to be sturdy and durable. Helping you create a kitchen that looks great and will last the distance. With a contemporary style lacquered finish on the front, these doors have been designed to be the epitome of class and elegance. Making your kitchen space look modern and reflecting the high quality workmanship that has been put into your entire kitchen. J Pull Lacquered Alpaca Grey Matte MDF door/s. J Pull Lacquered Bismark Blue Matte MDF door/s. J Pull Lacquered Boardwalk Brown Matte MDF door/s. J Pull Lacquered Olive Green Matte MDF door/s. 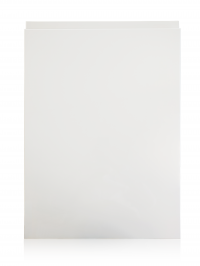 J Pull Lacquered Intrepid Blue Matte MDF door/s. 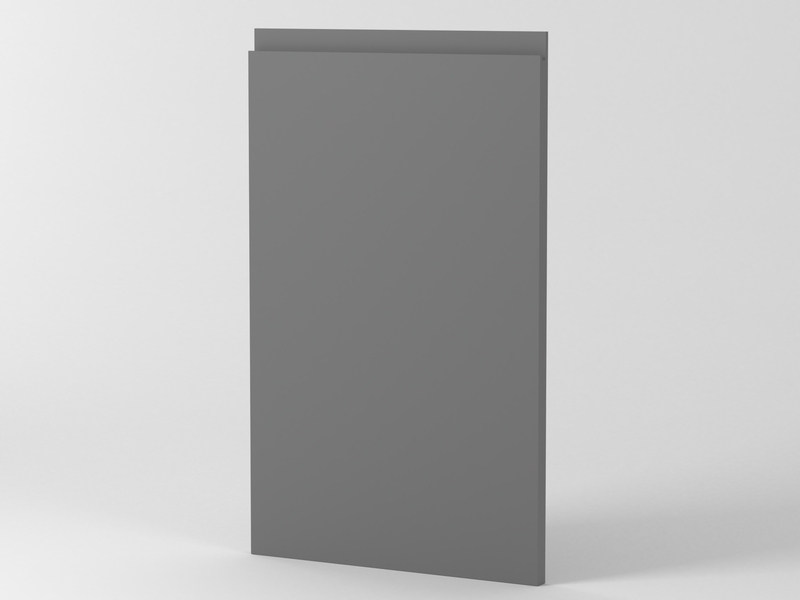 J Pull Lacquered Shale Grey Matte MDF door/s. 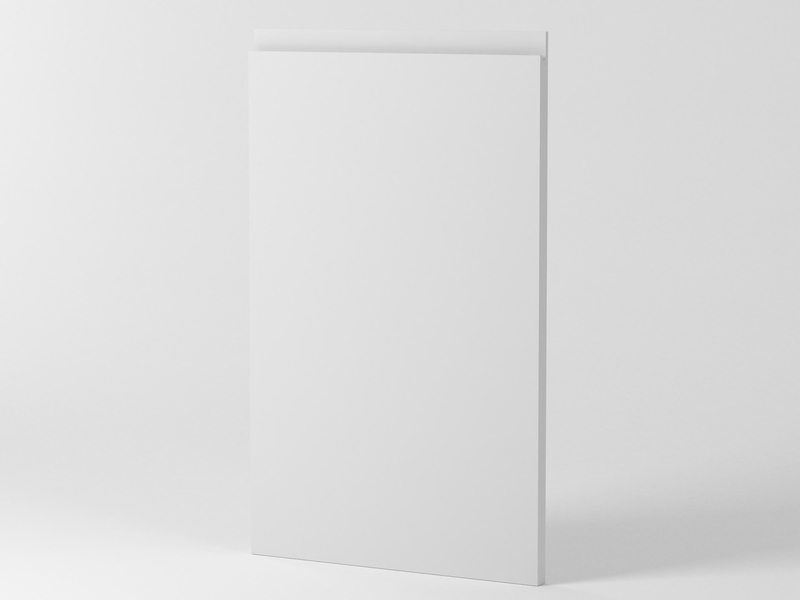 J Pull Lacquered White Matte MDF door/s. Doors will be drilled for attachment to the left hand side of the cabinet. 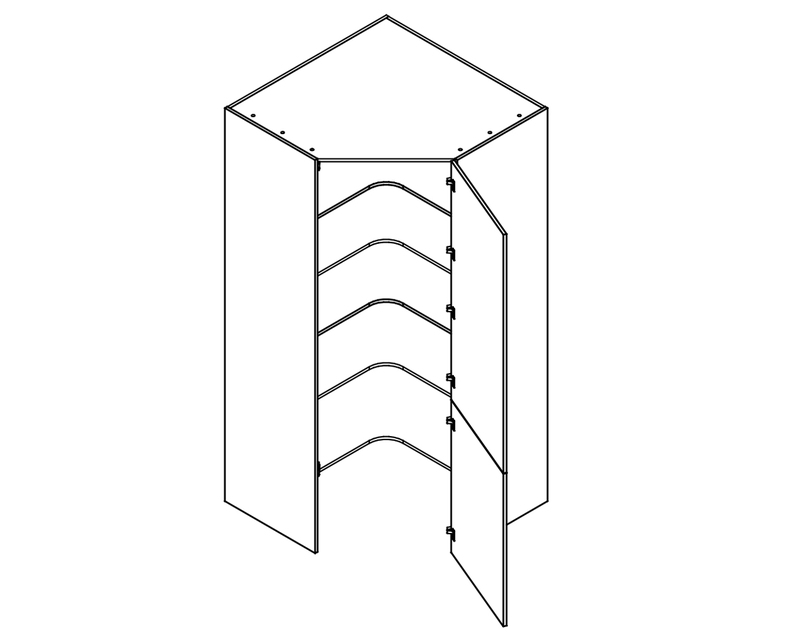 As such, the door will open from right to left when facing the cabinet. Doors will be drilled for attachment to the right hand side of the cabinet. 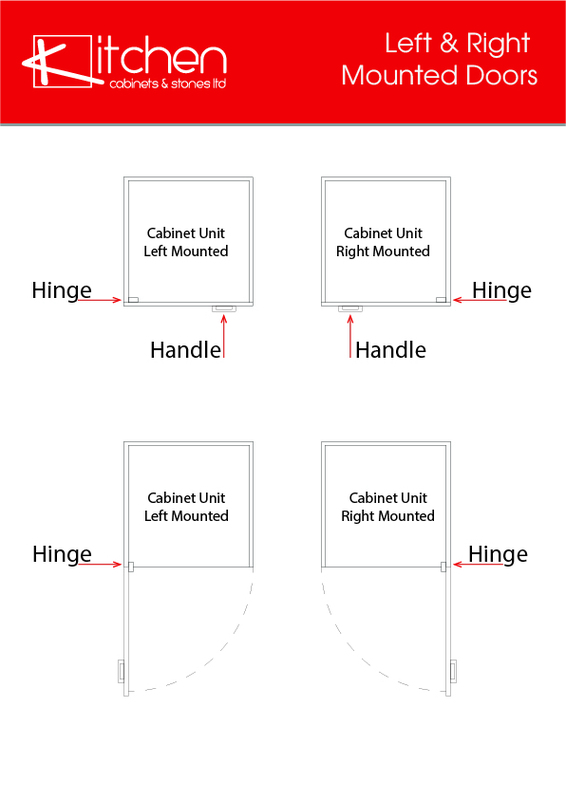 As such, the door will open from left to right when facing the cabinet.